Do you ever feel like children have all the fun? Are you a bit too excited about Easter egg hunts? Or maybe you just really like tartan and Deerstalker hats. 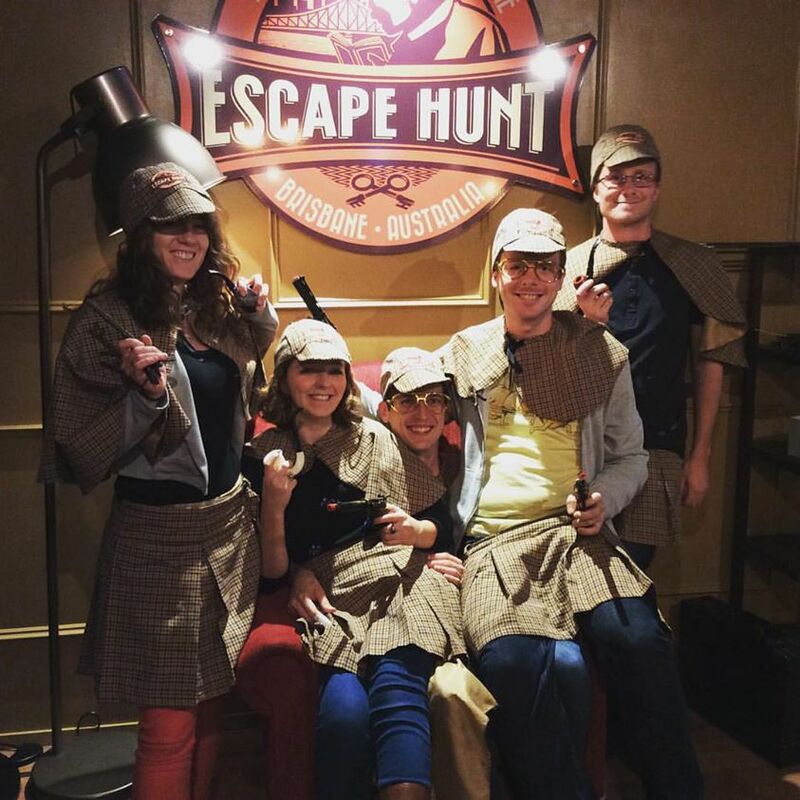 In any case, get a bunch of friends together or form your own detective duo and head to The Escape Hunt Experience in West End. How it works: You book a room - there are three choices: Murder in the Barber Shop (medium difficulty), Escape from Boggo Road Jail (medium difficulty), Bomb at Government House (hard difficulty). You can have 2-5 people per room. You have 60 minutes to piece together clues to unlock combination locks, which lead to other clues and other rooms and secret compartments and other locks. The aim of the game is to "escape"* from the room before your time runs out! And the time does go quickly! We spent about 20 minutes in the Bomb at Government House room doing absolutely nothing at all before we figured out the first clue (okay: they gave us a hint). But the moments of elation (and hubris) when you do crack a clue more than make up for the head-scratching moments. We would recommend this for anyone looking for an interactive wholesome group activity. Or if you want to see who is your smartest friend (for us it's Zac). There is a leaderboard for those who escape the quickest but if you aren't confident of your Sherlockian skills, you can always try to make the best-dressed wall. *They don't actually lock you in.